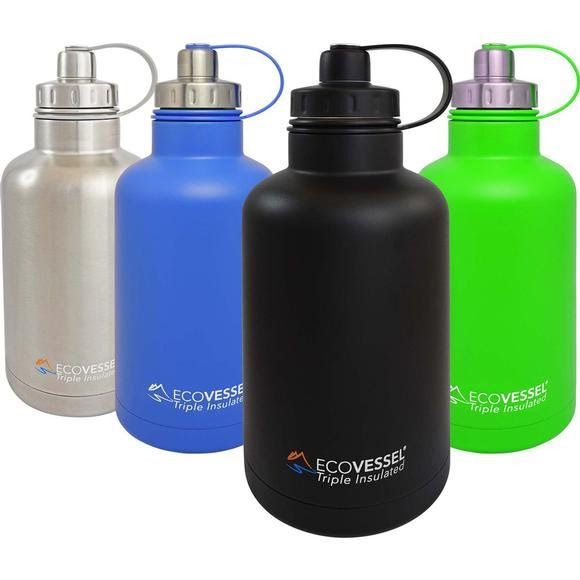 Fill Eco Vessel's reusable stainless steel growler with icy cold craft beer at the brewery or fresh hot coffee from home or your local coffee house. Eco Vessel has included a removable stainless steel infuser, so you have the option of adding the flavors of fresh fruit to your drinks. If you're a tea enthusiast, fill the infuser with leaves and the Boss will be your favorite tea maker. Fill Eco Vessel&apos;s reusable stainless steel growler with icy cold craft beer at the brewery or fresh hot coffee from home or your local coffee house. Eco Vessel has included a removable stainless steel infuser, so you have the option of adding the flavors of fresh fruit to your drinks. If you&apos;re a tea enthusiast, fill the infuser with leaves and the Boss will be your favorite tea maker. On a summer day or warm evening, pour some wine in the growler, add sliced of oranges, limes, pineapple and enjoy refreshingly chilled sangria that will stay cold all day, perfect to take on a picnic or day at the beach! Measurements 5" x 5" x 11.5"